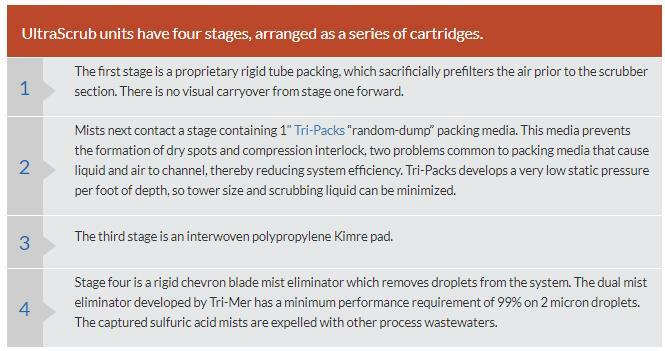 UltraScrub is Tri-Mer’s trade name for its cartridge-based acid fume scrubber. 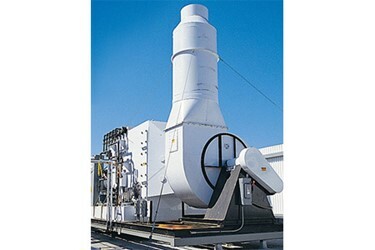 The UltraScrub acid fume scrubber systems operate “dry” at least 99% of the time. Each stage has an independent magnehelic gage to indicate when cleaning is necessary. To prevent the corrosion of the fan from exposure to sulfuric acid mists, the fan is installed at the back end of the scrubber; any fume drawn through is cleaned and exhausted before contact.